Before and aftercare will be available 7 – 9 AM and 4 – 6 PM at an additional cost. Please click here to register for childcare. See Registration in Camp Descriptions. Special Note: All Spartan Mini Campers must be fully potty trained. Our program for our youngest campers nurtures their mind, body, and soul. We build strong bodies through fun and structured physical activities including games, Zumba and swimming at the local YMCA. Our program offers “Keep ‘em Fresh” academic and crafts time daily, to foster a growing mind. We provide healthy AM snacks and “choice” PM snacks. Our field trips and events may include Sahara Sam's, STEAM museums, end of summer “Pizza, Piñata, and Prizes Party" and many of our favorite things! Campers may sign up for as many weeks as they like, consecutively or spread throughout the summer at your convenience. The camp is available the weeks of 6/17, 6/24, 7/8, 7/15, 7/22, 7/29, 8/5, and 8/12. Campers may sign up for as many weeks as they like, consecutively or spread throughout the summer at your convenience. Cost: $300 (Spartan Mini Camp will be closed the week of 7/1). CLICK HERE TO REGISTER FOR THIS CAMP. Each week, campers explore a new and exciting theme such as science projects or sports. They then take a field trip to further their understanding of the theme. Example field trips include The Franklin Institute, Sahara Sam's Oasis and Pump It Up. Other activities include time for math and reading enrichment, exercise such as Zumba, swimming, and much more! Healthy AM snacks and “choice” PM snacks are provided. Campers may sign up for as many weeks as they like, consecutively or spread throughout the summer at your convenience. The camp is available the weeks of 6/17, 6/24, 7/8, 7/15, 7/22, 7/29, 8/5, and 8/12. Campers may sign up for as many weeks as they like, consecutively or spread throughout the summer at your convenience. Cost: $300 (Camp Doane will be closed the week of 7/1). CLICK HERE TO REGISTER FOR THIS CAMP. In this camp, we will learn about mythology, art, and astronomy in Ancient Rome. Through several day trips to sites such as the Penn Museum, The Franklin Institute, the Morris Arboretum, and the Princeton University Art Museum, we will see how the Latin language continues to influence society. We will actively trace the roots of modern forms of entertainment back to their origin in gladiatorial games and chariot races. Camp is available the week of 7/29. Cost: $450. CLICK HERE TO REGISTER FOR THIS CAMP. 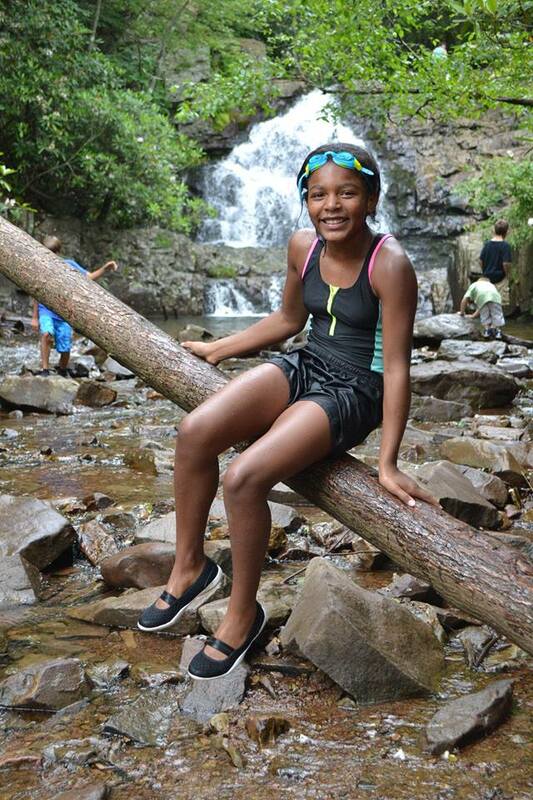 Campers will develop their knowledge and skills in the great outdoors while enjoying the best week of summer! Our adventures will take us off campus every day to places like forests, bike trails, the beach, rivers and mountains! The 2019 itinerary includes a tree-top canopy adventure and sailing lessons. We will enjoy an overnight camping trip to culminate the week. Campers need to supply sturdy shoes or hiking boots and a sleeping bag. Campers must be able to ride a bike. Camp is available the week of 7/8. Cost: $450. CLICK HERE TO REGISTER FOR THIS CAMP. Artists attending this camp will get the unique opportunity to work with and learn from Studio Incamminati’s professional artists on portrait painting fundamentals! They will get to work with real artist-grade oil paints and a live portrait model in the true collegiate-style art studio on Doane’s campus. Over the course of the week, students will learn about materials and paint handling, gesture, light and shadow, relative value, color, and the anatomy of the human skull. This camp will help prospective art students enhance their portfolios! Oil paints and odorless mineral spirits are provided. Artist’s attending the camp will need to supply 16’’ x 20’’ canvases (minimum 2), paper towels, bristle brushes (sizes #4 and #2), and a sealed or non-absorbent palette (no glass palettes, plexiglass is fine). The camp is available the week of 8/5. Cost: $450. CLICK HERE TO REGISTER FOR THIS CAMP. To download a copy of this schedule, please click here: PDF of schedule. AM (9:00-12:30) - select one AM class for the week. PM (1:30-5:00) - select one PM class for the week.